Available on DVD or Blu-Ray! SKU: 0149-DVD-BR. Categories: DVD, Metal, Rock, Cleopatra Entertainment. For one and a half years, renowned filmmaker Katja von Garnier accompanied the SCORPIONS on what was originally supposed to be the band’s farewell tour. 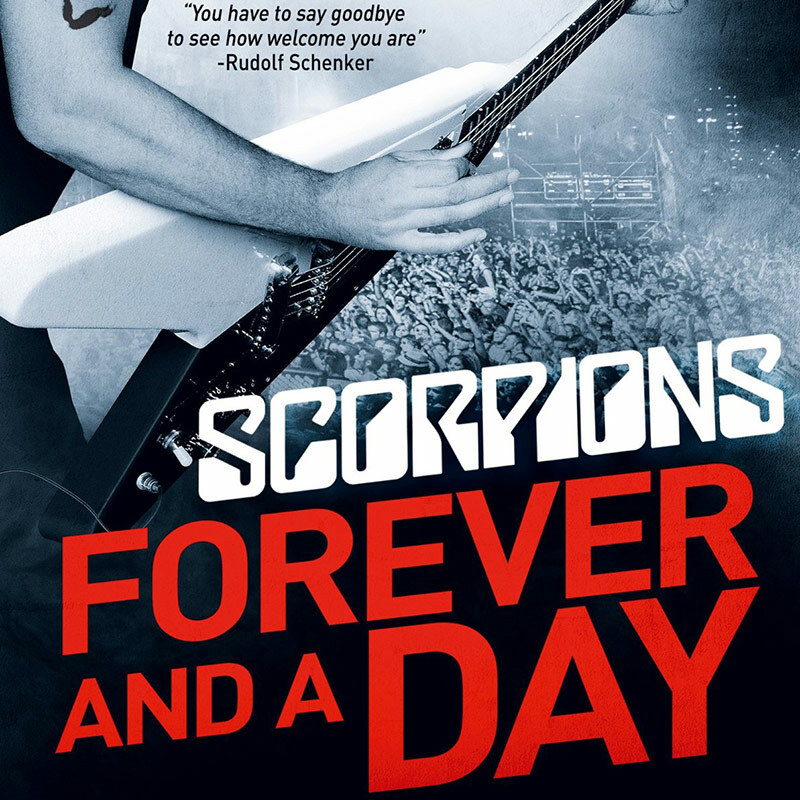 The resulting documentary, “Forever And A Day”, follows the band on the road from Bangkok to Moscow, and culminates in SCORPIONS’ decision to scrap their retirement plans, deciding instead to mark their 50th anniversary in 2015 with a new tour, a new album and the “Forever And A Day” movie.